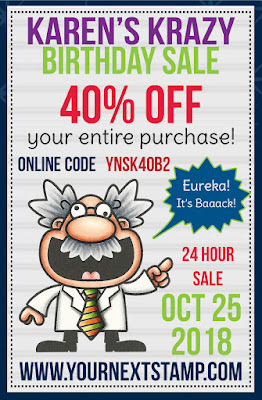 Your Next Stamp 24 Hour Birthday Sale!!! 1. Please read the guidelines below for this special 24 hour birthday sale! you order the more you will save! • Shipping rates for International orders will depend on the size of the order. • Discount applied to YNS in stock items only.